The last couple of days I have started a small (yet unfinanced) research project aimed at applying the principles of LCA (Landscape Character Assessment) and HLC (Historic Landscape Character) in a 17th century context. While LCA and HLC is traditionally concerned with mapping the character of the present-day landscape and its historical components, this study will be based on characterising the landscape as it looked during the 17th century. This can more or less only be done in regions which were more or less entirely covered by consistent maps during the same period. As explained in some of my other posts, Sweden has a world-unique collection of detailed large-scale geometrical maps from the first of half of the 17th century, which shows and describes the rural landscape before the agrarian revolution of the 18th century. Sadly, only parts of Sweden are covered by this material, and the amount of available maps also varies from region to region (the regions covered by these maps can be seen here). For this study, I have therefore chosen two neighboring parishes - Blidsberg and Dalum - in the hundred of Redväg (in Västra Götaland) which were almost completely mapped during the middle of the 17th century. The maps from this region were made by a surveyor called Kettil Classon (Felterus), whose maps are quite rich in detail. Among other things, the maps often give valuable information concerning the vegetation and landforms of the area. Furthermore, the parishes of Blidsberg and Dalum lie in the river valley of Ätran, where the river itself plays - and has always played - a dominant role. It seems like the surveyor payed quite good attention to the river while making his maps, as it is possible to trace the geomorphological changes through a simple comparison between the historical maps and a modern orthophoto. The extensive meadows of the regions seem also to be relatively well mapped. This is quite unique, as the surveyors usually focused on documenting the arable fields and the location of individual farms. While this in some ways may reflect the experience and capability of the surveyor in this region, it is most likely rather due to external factors affecting the mapping process, such as weather conditions. The natural starting point was therefore to start by georeferencing the 15 maps included in the study, in order to recreate the landscape of the 17th century in this region. As the quality of the maps from both parishes were generally high, the rectification process mostly included between 2-3 control points on maps of high accuracy. This meant that these maps were more or less just rescaled and refitted, and the rectification kept the original measurements of the surveyor more or less intact. Where inconsistencies were found in the maps, more control points were given - in places up to 12 - in order to not distort the original measurements, especially of the arable fields. Still, the result is far from perfect, but only meets the general requirements of the study at hand, which is not aimed at providing highly detailed information but to provide a general picture of the landscape characteristics. In some places, adjacent maps do not fit each other perfectly. This becomes most clear when looking at the river, for which I sadly must blame the surveyor. Of course, the maps could have been given more control points in order to counteract this problem, but that went beyond the purpose of this study. The combined georeferenced result was then draped over a 2 meter resolution DEM of the area, which made it possible to explore the topography of the 17th century landscape in Esri's ArcScene. This provides an excellent overview of the area, which gives a nice context to the further stages of this Landscape Character analysis. The ArcScene visualisation of the georeferenced result. Here it is possible to see the ways in which the rural landscape was adapted to the topography of the area. Also, notice that the 17th century river sometimes makes strange bends over contemporary hills, diverting from the present day riverbed. This might indicate an inaccuracy in the historical maps, but may also illustrate that the meandering pattern has developed over the centuries, reforming the river channel. For the last couple of months I have been engaged in research concerning the history of two river systems in Sweden: Göta Älv and Ätran. I have tried to explore questions of river/human interaction and several interesting themes have emerged. In my research I have focused on six case studies, and this blog post concerns one of them: Åkerström. A map of Göta Älv with some important places marked. For anyone interested in the history of Göta Älv – the largest river in Sweden which enters the ocean at the area surrounding Gothenburg – Åkerström is a place of significance for several reasons. The river has been used for transport for many centuries and Åkerström is intimately tied to the transport economy of Göta Älv on many levels. Furthermore, the Göta Älv valley has long been plagued by natural disasters which historical effects can be clearly seen in this area. The river should not be seen as something passive in this region, as its nature and effect upon the surrounding landscape clearly has affected the human society of the area. The pre-medieval history of Åkerström remains largely unknown and unexplored. The only nearby remains of Iron Age activity is an ancient hill fort on a mountain overlooking the river channel just to the northwest of the 17th century farm Slätthult. Almost no burial features can be found here, apart from a few stone settings and stone circles to the north of Åkerström. Thus it seems like the local area was pretty much uninhabited during the Iron Age. During the Middle Ages, the main area of settlement lay to the north of Åkerström, between present day Trollhättan and Vänersborg. This area was highly suitable for farming with soils consisting mainly of clay and silt. The vicinity to Vänern and the extensive forests surrounding this settlement area also provided the foundation for a diverse amount of secondary resource production. Cattle farming was the most important agrarian resource of this area and cattle – along with its byproducts – was highly valuable trade goods. It is difficult to say with any certainty to what extent this region of Göta Älv was used for transport during the medieval period. Considering the picture that emerges during later centuries it is highly likely that the whole river has been used at least sporadically for transportation during the Middle Ages. However, the falls at Lilla Edet and Trollhättan were difficult obstacles for upstream transportation, and it is perhaps more likely that Göta Älv was used for downstream transports during this period – such as timber rafting. The difficulties of these water falls are well emphasised the later development, where a road called “Edsvägen” connected the river north of Trollhättan to Åkerström. Goods where traditionally unloaded at Trollhättan and transported by land to Åkerström. From Åkerström the goods could be shipped to Lilla Edet where it had to be transshipped again – at least before the middle of the 17th century when a river lock was constructed there by King Karl the IX of Sweden. Åkerström should therefore be seen as a rather liminal area up till at least the 16th century, when it first appears in the written records. When we take a look at a map of the area from 1653, the location is obviously entangled in the river economy of Göta Älv. The map mainly surveys the farms of Slätthult and Stubbered, but also shows the location of Åkerström – where some “iron huts” where located – as well as the border stream between Denmark and Sweden. In 1648 a landslide occurred in this area, which had disastrous effects on the settlements downstream. Several ships and houses were destroyed, and the earth masses blocked the entire river valley. When the water eventually broke through the dam of soil a huge “tidal wave” swept down the valley, causing severe additional damages. 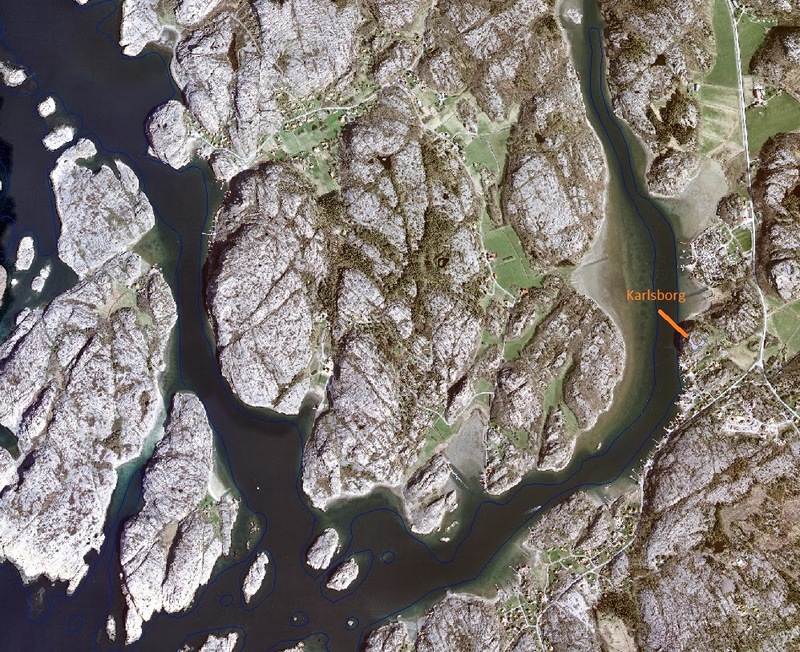 The location of this landslide (called “Stora Jordafallet”) is also marked on the map. The farms of Slätthult and Stubbered were by no means disentangled from Göta Älv, and had access to fishing waters in the river. In addition, Slätthult made “good revenues” from barges going down Göta Älv towards Gothenburg. We can only guess at the nature of these barges, but the farm obviously produced timber which would have been easily transported down the river. Timber rafting on Göta Älv was common during the 17th century, but most timber came from more distant places, such as Värmland and Dalsland. 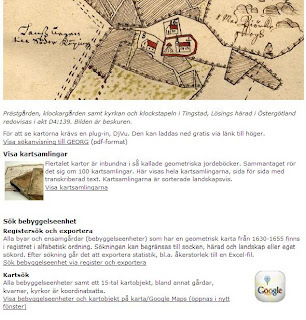 Here is then an example of a local entrepreneur who was engaged in the larger economic structures of Early Modern Sweden, and who used them for his/her own gains. We cannot know the historical depth of this phenomenon. According to some authors, timber rafting occurred on Göta Älv already during the Middle Ages. Even though this is indeed possible, scarce evidence exists. Perhaps even more interesting are the two abandoned sawmills which lay on the lands of Slätthult. It is highly likely that the timber industry of the area suffered from the landslide in 1648, which would explain the abandoned saw mills. No real trace of these sawmills can be seen today, as they seem buried beneath large amounts of rocks which have fallen from the slopes to the south-east. · The water falls at Trollhättan were used for milling during the 15th century, which indicates that the vicinity was settled. 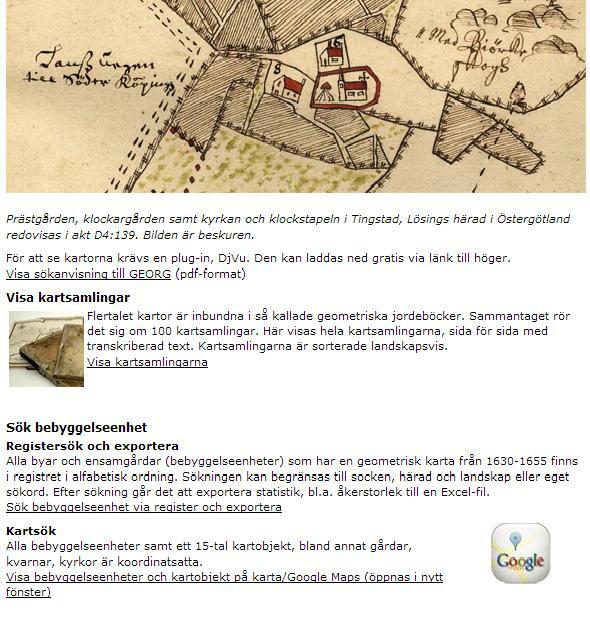 Is it possible that the trading station of Åkerström was active already during the Middle Ages? · Was local private engagement in long-distance trade something common during the Early Modern period? · Was the area surrounding Åkerström politically important in some way due to its economic function? · If so, where are the physical traces of this importance located? My previous posts (part 1 and 2) have been concerned with a castle ruin called Karlsborg, to the south of Hamburgsund. I have tried to put this rather unexplored ruin into a historical and economic context. More questions have been raised than answered by my investigations, and it is necessary to further explore this castle using both microscopic and macroscopic forms of research. 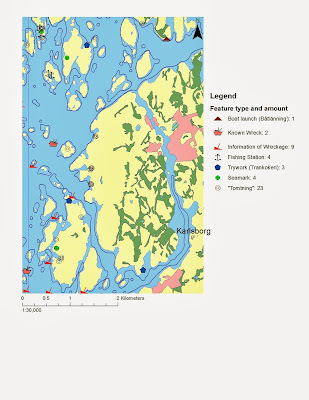 Today, we will be investigating the historic place names of Bohuslän in general, in order to see what this information might tell us about the context of Karlsborg. The use of place names in historical research is, according to me, somewhat controversial, at least in more deterministic forms of toponomy. We need to exercise caution when using this information as a base for our interpretations, as it is sometimes difficult to know exactly when a place was named, and why. However, toponomy in Sweden is based on profound research, both linguistic and historical, and it is an intriguing material to use. 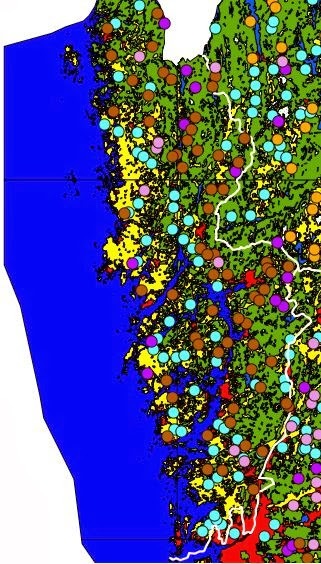 Beneath, I have selected some general elements in place names, from different periods, and tried to analyse their geographical patterns through the use of GIS. As I am quite the novice in the use of place names in historical research, I ask you not to take this analysis too seriously. The material used is heavily generalized, and a closer investigation would be needed in order to use this in more serious research. 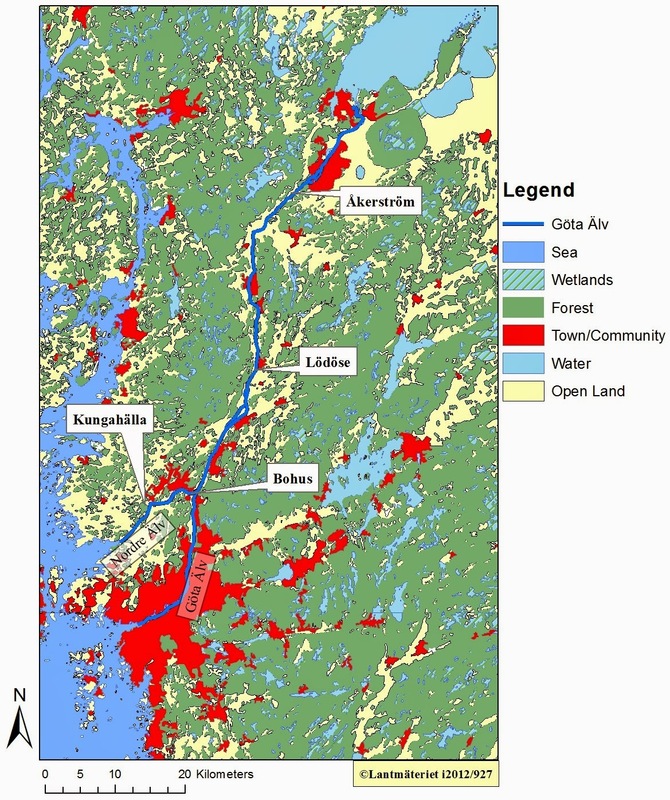 However, I think that even this shallow analysis have provided me with a nice picture of the historical development of Bohuslän’s settlement patterns. A map showing prehistoric place names in Bohuslän. The white line marks the border of Bohuslän to neighboring counties. According to traditional toponomy, there are certain place names that can be traced back to a pre-christian period. In Bohuslän, these are names ending with either “-by”, “-hem” or “-landa”, e.g. “Svenneby”, “Solhem” or “Kavlanda”. The map shown above is made by selecting present day communities with these elements present in their names. 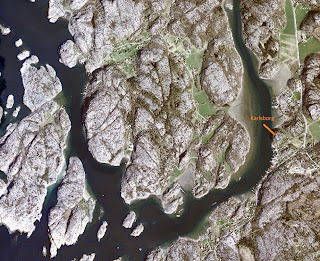 It is clear that “-by” is the most common prehistoric element in Bohuslän’s place names. We should also note, as seen in the map above, that inland Bohuslän is quite devoid of communities with prehistoric place names. This might illustrate that settlements, at least in the late iron age, were shaped by the fact that most arable soils in this region are located close to the coast. We can also assume that these rural communities, though mainly agricultural, also considered fish an important part of their sustenance. Map showing settlement development in the middle ages. The white line marks the border of Bohuslän to neighboring counties. Place names from the medieval period in Bohuslän usually contain the elements “-röd”, “-rud”, “-torp” and “-hult”. 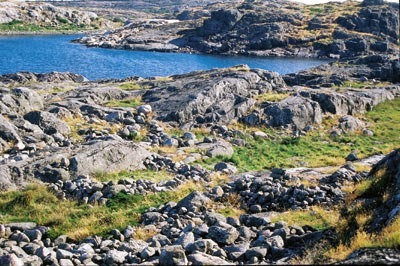 Most of the medieval names in Bohuslän contain the element “-röd”, referring to cleared ground, and often cultivation. The map above shows a potential development from prehistoric to medieval times, were most of the densely forested area have been colonized. Usually, this phenomenon have been connected to the population growth of the High Middle Ages which, along with technological development, allowed previously quite uninhabited areas to be settled. The initial expansion was halted in the middle of the 14th century, with the outbreak of the Black Death and the following economical decline, also in combination with the environmental change to what have been called “The Little Ice Age”. The redoubled amount of settlements seen in the map should not be interpreted as a redoubling of the population during the High Middle Ages. Most of these new settlements were small, lacking the more extensive farmlands found in older communities. Perhaps, we can connect this new settlement pattern to an increased use of the forest itself, but this requires further investigation. Timber was important trade goods in medieval Scandinavia, but whether the settlement expansion in Bohuslän is connected to this, we cannot at the moment tell. This investigation has not clearly shown any connection to the region around Karlsborg. We cannot observe any community name in the immediate area containing the historic elements under study. 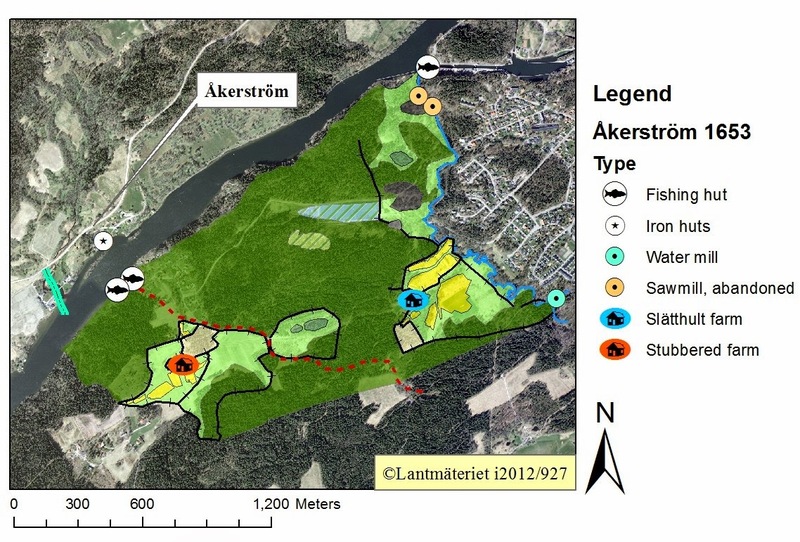 The closest settlements are Svenneby, Smedseröd, Skogby and Allestorp, all presumably existing simultaneously with the castle and within a 8km radius.. However, they do not indicate any certain importance connected to the location of Karlsborg. This might be explained by the fact that we have excluded many historic places in our investigation (important places such as Dynge, Apelsäter, Hallinden and Vettland are not included), where we have sought a general pattern rather than interesting particularities. 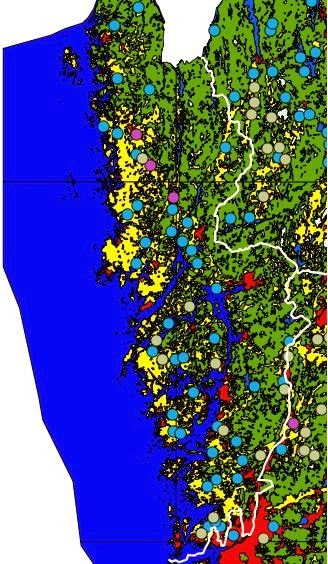 More local place names, among them the names of rivers and natural features, should be taken into account when conducting a more localized analysis. If we ignore the above criticism, however vital it may seem, we can assume that the region was not particularly important or special in the High Middle Ages, and that the importance can be connected to the later middle ages. Many of the place names in the investigation above defines settlements founded in the initial expansion of the earlier middle ages, and the pattern may have changed during the later middle ages. If the area around Karlsborg had been previously unimportant, it would explain why the site was not extensively fortified until the middle of the 15th century. 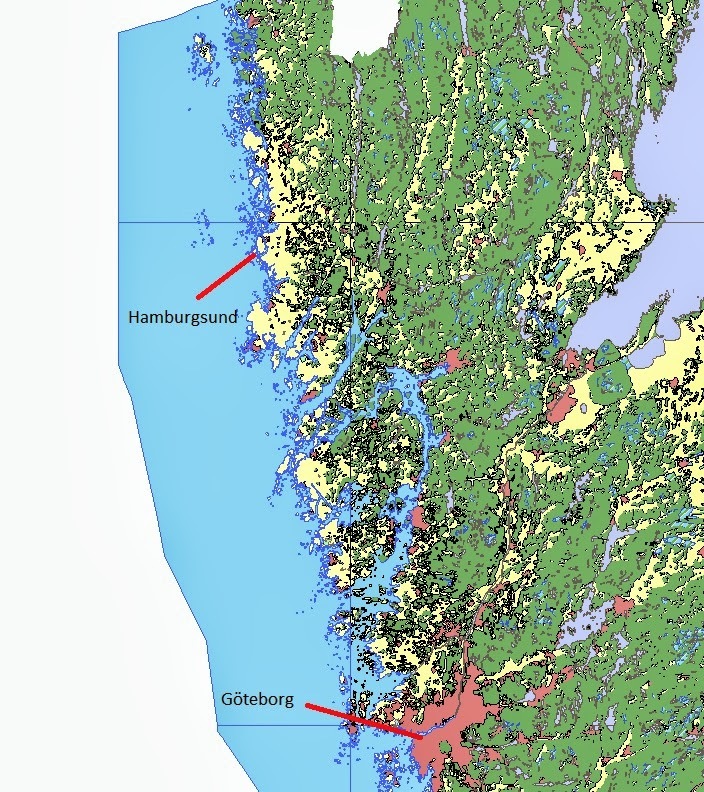 This, at least in a very generalized way, supports the idea of seasonal fishing, caused by a herring period, as a foundation for the importance of Hamburgsund and Karlsborg. While written history does not support this theory, it is not unlikely. Maybe be the lack of documentation of this period can be traced to a high degree of international activity in the area. More on this in coming posts! That was all for now! As usual, you are more than welcome to share your thoughts and ideas on the topic discussed. If you found this post interesting, feel free to leave a comment! In my last post, I introduced the ruin of Karlsborg castle, just south of modern day Hamburgsund. We explored the archaeological features of this castle, mainly through LIDAR data, and did a summary of what historical sources can tell us about this place. It seems like this was an important location, at least in the late middle ages and the early renaissance. Both Swedish and Danish kings obviously had an interest in controlling the area, and Karlsborg castle. In this post, I am going to discuss the role that seasonal fishing might have played in defining the importance of this region. Using data from FMIS (Fornminnesregistret = lit. the register of ancient memories (ancient monuments)), we will explore what traces this activity left in the landscape. Bohuslän have, at least in more recent centuries, long been associated with the fishing industry. The herring periods brought economic development to this otherwise quite marginalized area. Historical sources indicate that the fishing of herring was common already in the 11th century, and from Vestlandet (Western Norway) and Viken (the earlier name for Bohuslän) herring was exported to Germany and England in the late 12th century. However, it was not until the late 16th century that this fishing reached larger and more important proportions. From the middle of this century, fishermen from other parts of Denmark (which then included Norway) came to the coast of Bohuslän, establishing seasonal fishing settlements where they stayed from autumn till late winter. The large amount of herring that were drawn to Bohuslän during this period also attracted fishermen from abroad, both from the Baltic area and from North-western Europe. The city of Marstrand, located just north of Gothenburg, became a centre for international herring trade. Permanent coastal fishing stations were also established during the late 16th century, marking a change in habitation from earlier centuries. The herring period of the 16th century lasted for 40 years, after which the activity in the area ceases quite abruptly. Picture showing some typical examples of what a "tomtning" might look like. Photo from: Bohusläns Museum. The type of seasonal fishing settlements discussed above are called “tomtningar” (singular = “tomtning”) in Swedish. These are features usually found in connection to beaches of different kinds, identified by a low stone wall enclosing a space usually about 1-10 meters wide. While there are some inland examples, almost all tomtningar are located on islands. The geometrical shape of a tomtning may vary from circular to quadratic. It is not unusual that several of these features lie side by side, like a row house. Archaeological investigations have shown that tomtningar usually can be dated to a period between the 13th - 16th centuries. Investigations on Söö island, south-west of Gothenburg, have also shown that bones from cows and sheep are commonly found in these features, indicating that fish were considered important trade goods, and not meant for personal sustenance. In addition, English coins dating to the 13th century have been found in tomtningar on Söö island, indicating the presence of international fishermen. A map created in ArcGIS showing remains in the area related to the sea and fishing. You will see this map again in coming posts, but for now we are mainly concerned with "tomtningar". Click for larger picture. We can see, in the map, that there are 23 tomtningar on the islands outside Karlsborg. From the above material, we can assume that at least some of these are from the active period of the castle. But does this really give us a clue to the importance of this region? Why would Kings care about this? According to medieval law, all local inhabitants had the right to use the beach for their boats, nets and to bring up the catch. But the King owned all land defined as “Forstrand” (foremost beach?). What is meant by this is somewhat unclear, though a common interpretation is that the king owned a part of the beach, and presumably all islands without a farming population. The King would then be the only person with the right to allow fishermen from other parts of the kingdom and abroad to use these islands and beaches for seasonal fishing. We can also assume that this would give him the opportunity to collect tax from these fishermen, thus increasing his revenues and giving him control of international trade. A Point Density analysis done in ArcGIS showing the geographically dense areas of "tomtningar" in the County of Västra Götaland. Click for larger picture. 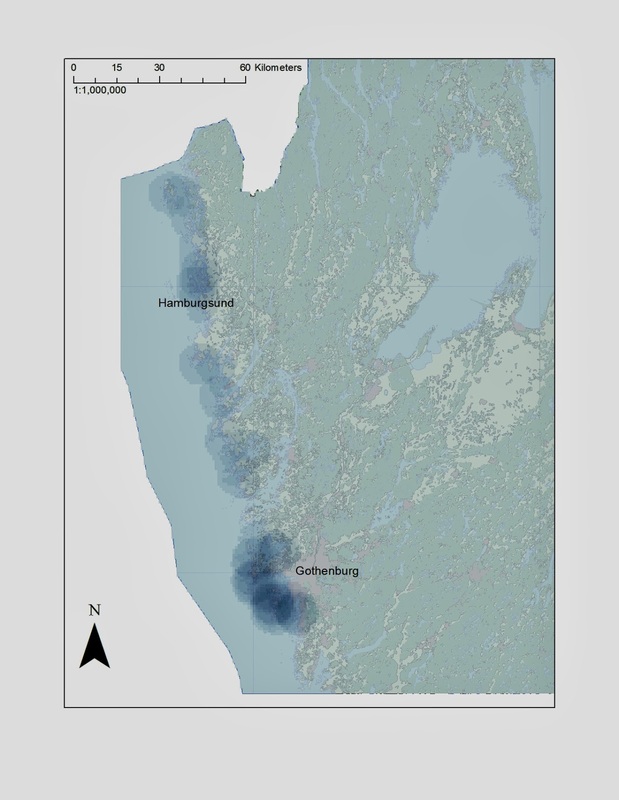 The Point Density Analysis of Tomtningar in the county of Västra Götaland shows that the area just north of Hamburgsund is an area with a large amount of tomtningar, an amount only bested by denser concentrations in the archipelago outside of Gothenburg. While tomtningar in the area of Gothenburg have been the focus of some research, the concentration found to the north of Hamburgsund and to the west of present day Fjällbacka, have been largely ignored. In my opinion, this concentration, in relation to the political history of the area, can provide a plausible explanation for the importance of Karlsborg. This, however, must be explored on a deeper level, especially as we cannot give a definite dating for these seasonal fishing settlements. Given the archaeological investigations in other areas, we can presume, but not of course be entirely sure. We have to delve deeper into the historical and geographical characteristics of this area, in order to see what other features that define the region. For this, see my upcoming posts! What do you think of the above theory? Would the prospect of economic revenues be enough motivation for controlling this specific area? 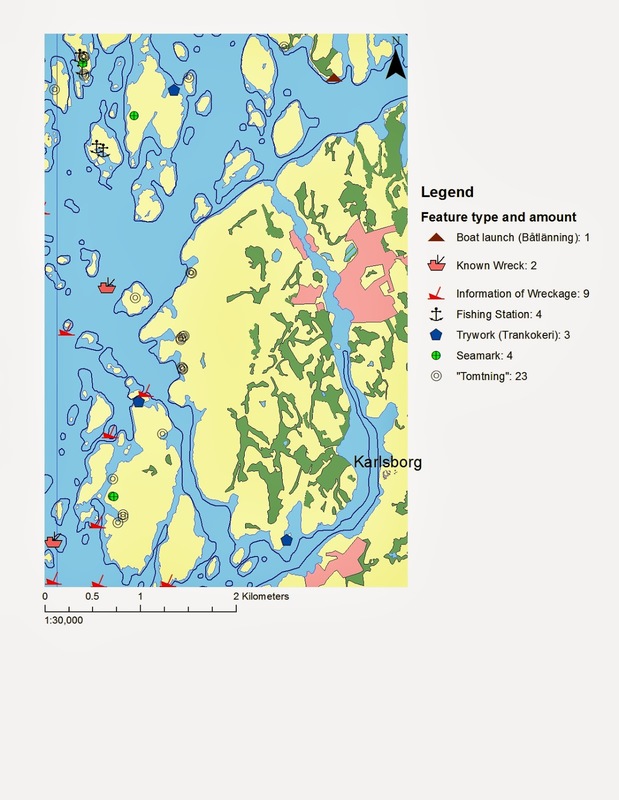 Why were the islands north of Hamburgsund, as compared to other areas in Bohuslän, so dense in seasonal fishing? Ersgård, L. (2001). Människan vid kusten – fiskebebyggelse från Skagerack till Bottenhavet under senmedeltid och början av nyare tid. In Andrén, A., Ersgård, L. & Wienberg, J. (ed.) (2001). Från Stad Till Land: En medeltidsarkeologisk resa tillägnad Hans Andersson. Almqvist &Wiksell Internation: Stockholm. Svedberg, V. & Jonsson, L. (2006). Medeltida urbanisering och fiske i Västsverige. Göteborgs universitet: Nossebro. Stibéus, M. (1997). Medieval Coastal Settlement in Western Sweden. In Andersson, H, Carelli, P. & Ersgård, L. (ed). Visions of the Past: Trends and Traditions in Swedish Medieval Archaeology. Lund Studies in Medieval Archaeology 19. Riksantikvarieämbetet, Arkeologiska Undersökningar, Skrifter nr 24. Lund. Just south of Hamburgsund in Bohuslän lies a place commonly known as “Slottet”. 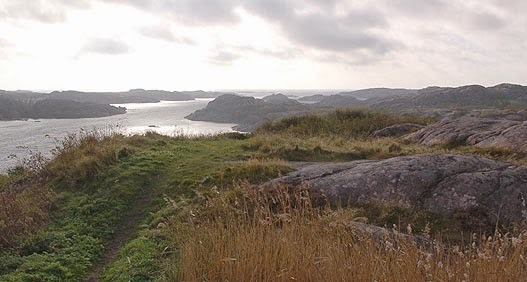 This is in an area nowadays mostly inhabited by summer guests, due to the exclusive attraction of Bohuslän's extensive archipelagos. In summertime, this area is full of life, but during the long and harsh winters only a few natives remain. This is nothing new, really, as the coast of Bohuslän have been inhabited seasonally in the past as well, especially during the herring periods of the 16th, 17th and 18th centuries, when seasonal fishing stations where formed on the islands and the coastline. But perhaps, in more distant times, this area was much more active. This can be seen by the many archaeological traces left in the landscape, where we especially can discern a rich Bronze Age culture. Among other things left from this period, we find a large amount of rock carvings and cairns (“röse” in Swedish) in the area close to Hamburgsund and Slottet. But it is not these highly interesting Bronze Age remains that we shall discuss now, but rather the traces of historical times, of the medieval and early renaissance activities in this area. The name “Slottet” is derived mainly from a ruin on a small mountain just by the southern cove leading into the modern community of Hamburgsund. This mountain is surrounded by steep cliffs on all sides, except in the west where what could be either a natural or a humanly constructed ( though quite steep) slope leads up to the top, where the ruin is situated. In modern times, a staircase has been built on this slope, enabling less fanatical visitors to access the ruin as well. When I mention “ruin”, most people would expect this to be a sort of “classical” castle ruin, with clear remains of walls, towers etc. This is not the case. All that remains are some earth-works surrounding the top of the mountain, and for the trained eye it is also possible to detect the remains of what could be two barbicans (“förborgar” in Swedish) in the slope. An archaeologist named Wilhelm Berg excavated the castle in the early 20th century. Among the artefacts where the backside of a canon, canon balls, gun bullets, points from arrows, crossbow bolts and lances. While these artefacts point to military functions, we can of course not depend entirely on the inadequate documentation and excavation methods from this early period in the history of Archaeology. Nevertheless, these findings are interesting. 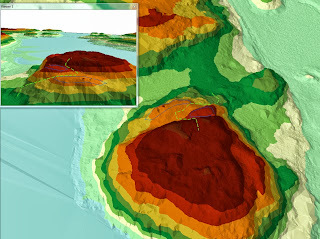 A Digital Elevation Model made with LIDAR data. The two potential barbicans are marked with blue rings, and the path up to the top is marked with green. The blue area roughly corresponds to the sea level of the late medieval period. Note the highly visible earth-works that surround the top of the mountain, and the iron age mounds visible where the path starts. According to written history, the proper name for this castle ruin is “Karlsborg”, and was fortified in 1455 by the marshal of Sweden, Tord Bonde. Entire Bohuslän had in 1455 been taken by the marshal on king Karl Knuttson Bonde's orders, and Karlsborg was built in order to gain control over the fairway between Denmark and Norway, which passed the islands just outside Hamburgsund. However, Tord Bonde was murdered in 1456 by the castle's bailiff, a Dane called Jösse Bosson. After this, Sweden lost control over Bohuslän to the Union (at the time between Denmark and Norway). During the reign of Gustav Vasa, northern Bohuslän was attacked by Swedish troops once more in the 1520s. Karlsborg was restored to it's former glory in 1525, after which the castle became the administrative centre of the region. This secured the connection of Sweden to the North Sea and the trade routes to England and western Europe, if the estuary of Göta Älv, close to present-day Gothenburg, had been ceased by the Union. In 1531, the castle was attacked and razed by the troops of the former Danish king Kristian II ( known in Sweden as “Kristian the Tyrant”), and the castle was never restored again. 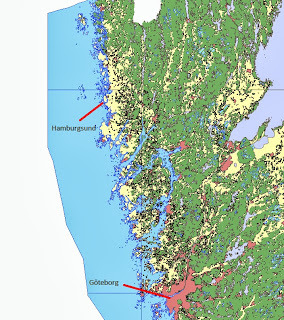 The location of Karlsborg in Hamburgsund's strait. That was all for now! In the next post, I will use further GIS analysis to investigate why this place was so important. 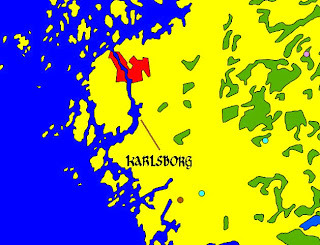 Karlsborg obviously played an important role in controlling Bohuslän, but there is no clear urban central place in this region, from this period. I will use a mainly quantitative geographical material, through a long-time perspective, to see if we can find some clues. Till then, I hope you have enjoyed this brief introduction to a very interesting site! Among the current developments in archaeology, history and geography the Digital evolution is by far the most significant one. The digitalization of historical information is a recurrent theme in projects at archives, museums and universities. Geographically bound data makes it possible to conduct larger studies at a previously quite inaccessible scale, and the importance of a geographical focus, not the least in the building of easily searchable databases, is clearly something that have recently been realized by several institutions. The use and the ongoing development of GIS software have contributed much to this movement. Alongside with the digital evolution there have also been a lot of discussion about the public accessibility of digital information. That is, the “free or not free” part of this data. Among the people working with open source software this is something almost religious, where all data should be downloadable for free. In other cases, especially where the data can be used for commercial purposes, the data is often (at least partly) available to view, but only downloadable for “premium” members (which means that you have to pay). Today, I will introduce you to a Swedish database named GEORG, the elder sister of the database KARL that I have contributed to this spring. See my earlier posts for more on KARL and the project YGK. GEORG is the result of a project named “Nationalutgåva av de äldre geometriska kartorna” (National edition of the elder geometrical maps). This project had its base at the National Archives in Stockholm and was led by Clas Tollin, docent at the department of agrarian history at SLU in Uppsala. The project lasted between 2001-2010 and the goal was to make the information in the geometrical maps from 1630-1655 easily accessible to researchers and other interested individuals. This meant that the maps, previously scanned in quite poor quality, had to be rescanned in high quality and all the information had to be geographically registered with the use of GIS. In addition, all the written text describing the maps were transcribed and digitalized. The maps themselves follows almost the exact same pattern as the Younger geometrical maps, which I have described in detail in earlier posts. The result is a database where all the data is accessible and downloadable. At the moment, the site is only available in Swedish, though an English translation is planned. This database was among the first of its kind, and a landmark in the evolution of geographic historical databases. At the present there are many projects going on using many of the same principles. For readers fluent in German there is a highly ambitious project going on in Pomerania, which in the 17th century was a part of the Swedish Empire. For readers more comfortable with English than these other languages I can recommend you to look at the database for the Down Survey of Ireland, which can be compared to GEORG. This database is also concerned with 17th century maps, though the material is quite different. Links to these projects can be found below. That was all for now. Please, feel free to send an email to oscarjacobsson@live.com if you have further questions! Today we are going to investigate the village of Stjärnholm once again, this time focusing on the homesteads themselves and the information we can find about them in Notarum explication. For more about this village, please read my earlier post! The first thing usually described on each homestead is the name of the farmer. These names are very common even today, and almost all of them have surnames ending with “-son”. In this particular village we have two farmers (in homestead 1 and 3) surnamed “Larsson”. We cannot be sure that these two are related to each other as this is a common surname, but as they inhabit the same village it is quite likely. After the names comes the land owning nature of the homestead, such as “krono”, “skattekrono”, “frälse” etc. If the land is “frälse” (owned by a noble) sometimes the name of the nobleman/woman or the estate is noted. The third thing described is the value of the farmers’ land in the unit “öresland”. Öresland is a unit that does not necessarily describe the amount of land; it can also be a description of the revenues. The exact meaning of this unit seems somewhat uncertain depending on what area you are investigating. In Uppland, there seems to be a quite clear correlation between öresland and tunnland. In the YGK-project we are converting all land values into the same unit, called penningland (1 öresland is the same as 24 penningland) which is more common in this period. This is done in order to make the statistics from various areas comparable with each other. After this, the annual revenues of the homestead are described. Each homestead usually use the two field system and therefore the revenues are described for each year of farming. Under the revenues, you can sometimes find information on areas used by the farmer which lie outside the village (in Swedish “utjordar”), often in a neighbouring area. Sometimes the revenues for these patches of land can be found in the homesteads description, but most of times this is described in another map, if such exists. More on this below. Another thing to note here is something found above the description of the homesteads. We can usually find information here about the outfields (though it is not really fields) of the village. The outfields or the “outlands” (perhaps a better term) of a village are usually used for grazing, gathering of firewood, fishing and some hunting. Outlands are usually not described in detail, but the quality is defined by terms such as “good fishing” or “almost no firewood at all”. In this case we can read that the outland of Stjärnholm consists of bare ground which provides poor grazing. Homestead number 1: This is a ”skattekrono” homestead inhabited by Erich Larsson. The farmers’ land is worth 14 öresland (336 penningland). We can see that one year the revenues of the farmed field are 12 tunnor and 11, 19/87 cappor. Next year the revenues are 9 tunnor and 19, 3/87 cappor. The surveyor has calculated the mean value of the revenues from these two years and written down the result in the row to the right. To calculate the total area of the fields we simply have to multiply the mean value by 2 (as this is a two field system). The result is: 21.945 tunnland. The meadows bring in 15, 39/87 sommarlass of hay each year. This farm also owns three patches of land in other areas. Specifically these areas are: “Wreeta”, “Fänsgiärde” and “Fittja parish”. If these areas are mapped or not we cannot at the moment know. All that can be said is that they do not exist in the same volume of maps (named A16). Homestead number 2: This is a “frälse” homestead inhabited by Johan Mattzon. The farmers’ land is worth 14, ¾ öresland (354 penningland). The mean value of the revenues is: 11 tunnor and 17, 163/174 cappor. This means that the farmed fields are 23.121 tunnland. The meadows bring in 16, 24/87 sommarlass of hay each year. Homestead number 3: This is a “frälse” homestead inhabited by Johan Larsson. The value, fields and meadows are the same as number 2. Here it is also noted that number 2 and 3 have common land in an area called “Fänsgärde”. That was all for now. Hope you have enjoyed your visit to Stjärnholm village!